FORT HOOD, Texas The Army psychiatrist charged in the deadly Fort Hood shooting rampage will be allowed to keep his beard during his military trial. 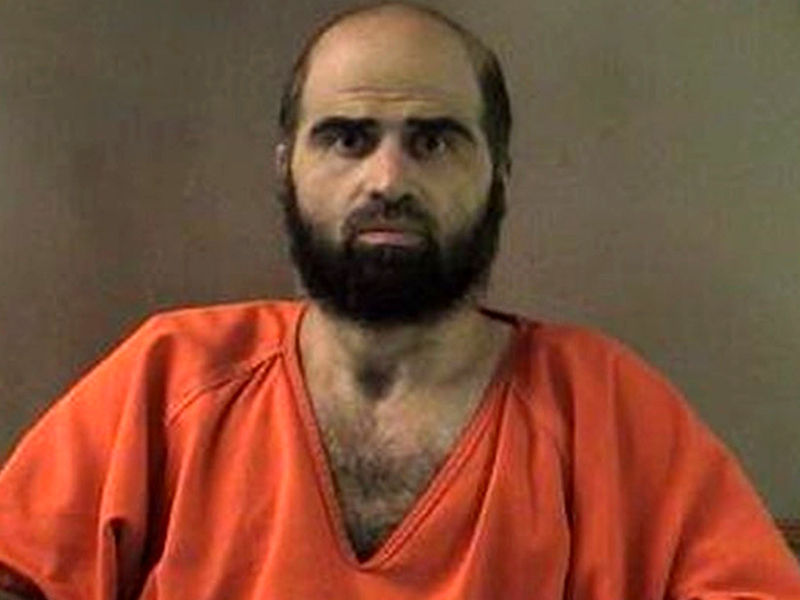 The new judge overseeing Maj. Nidal Hasan's case told Hasan during a Tuesday hearing that the beard is a violation of Army regulations. But the judge, Col. Tara Osborn, said she won't hold it against him. Hasan answered her questions, saying he grew the beard voluntarily. He previously said his Muslim faith requires it. Hasan faces the death penalty if convicted in the 2009 rampage that killed 13 and wounded more than two dozen others on the Texas Army post. His trial date hasn't been set. A military appeals court recently ousted the former judge and tossed his order requiring Hasan to be forcibly shaved before his trial. The U.S. Court of Appeals for the Armed Forces ruled that Col. Gregory Gross didn't appear impartial while presiding over the case of Hasan. An Army appeals court had upheld the shaving requirement in October. But earlier this month, the U.S. Court of Appeals for the Armed Forces said the command, not the judge, was responsible for enforcing grooming standards. The ruling said that was one example of how Gross did not appear impartial in the case. Gross had repeatedly said Hasan's beard was a disruption to the court proceedings, but the military appeals court ruled that there was insufficient evidence to show that his beard interfered with the hearings.